Weekly allowances may be a better choice not just for the family budget but the kids as well. A weekly allowance lowers the chances of giving your child different daily amounts. Plus, it exposes your child to financial management, said Joe Ferreira, president of Money Doctors Inc., a personal finance consulting firm. “Instead of the usual, ‘you have to save 20 percent of what I give you” speech, you should tell your children to spend as little as possible during the week. They open themselves up to the possibility of saving as much as 50 percent or even 80 percent of what you give them,” he added. Eating out, heading to the cinemas and going shopping as a means for family bonding can easily add up and cause strain on the family budget. Everything in the mall comes with a price, said Chinkee Tan, a wealth coach, motivational speaker, and book author. It doesn’t mean, however, that you should sacrifice having fun with the kids. Try to think up ideas on what activities you can do at home instead. Stage a puppet show, start a mini garden or ride bikes around the neighborhood. Or why not try baking as a family? Find recipes for sweet treats you can whip up without an oven here. Expense management requires discipline, according to Ofelia Tordesillas, M.D., a financial planner and pediatrician by profession. Your family's lifestyle expenses (where luxury items fall under) should only make up 10 percent of your income. “Otherwise, if you break that 10 percent, you'll be sacrificing much more important goals,” she said, like saving for your child's college education, buying a home or building a retirement fund. 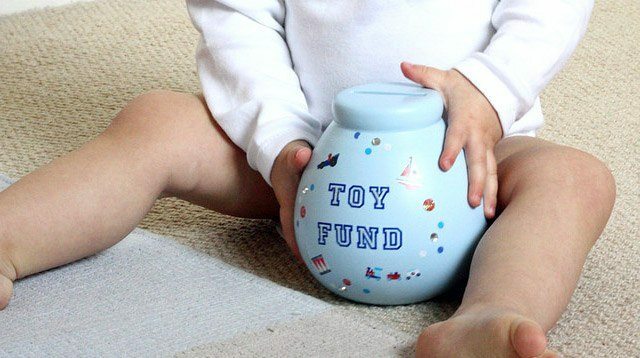 An emergency fund is crucial in every household. Make sure to factor it in whenever you do the monthly budget. Enough stashed away will “adequately prepare you for unexpected events like unemployment, illness or injury that take away your ability to work, or any other unplanned expenses,” said Tordesillas. Have you noticed that well-known brands are usually placed at eye-level on grocery shelves? On your next supermarket visit, check the shelves from top to bottom. You may be able to find the same item for a lower price. “Just like buying medicines, buying generic products is a wise move especially now that there are many multinational companies selling quality products at lower prices,” said Tan. No doubt, credit cards are convenient. With it, having no cash on hand isn't a problem. All you need is to hand over the small plastic in your wallet -- but that's also what makes credit cards risky. Always keep your budget in mind when paying with a credit card. “Also, always remember to pay your credit card bills on time in full. Otherwise, interest payment and late charges can easily encounter the merits of these cards,” said Tordesillas. Money expert advice courtesy of Good Housekeeping Philippines magazine.